When Laura Bush moved into the White House on January 20, 2001, everyone wanted to know what kind of first lady she would be. Would she be like Mamie Eisenhower? 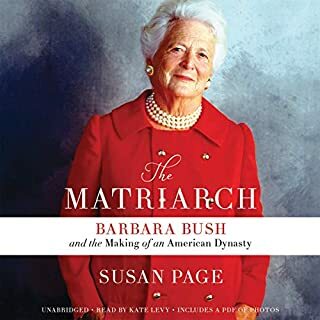 Would she follow in Barbara Bush's footsteps? Would she be another Hillary Clinton? "I think I'll just be Laura Bush," she would say. On Saturday, April 30, 2005, the world got a glimpse of what that meant when she pushed aside the leader of the free world and stole the show at the White House Correspondents' Association dinner. Wearing a shimmering lime green Oscar de la Renta gown, Laura wisecracked that she was a "desperate housewife" married to a president who was always asleep at nine. Replayed constantly on the air, the stand-up routine with its impeccable comedic timing turned the first lady into a glittering star. But while the performance catapulted her to new status, it did not answer the question of who this former teacher and librarian really is and just what role she plays in influencing her husband and shaping his administration. The Bushes are more effective than the FBI or CIA at keeping secret what goes on behind the scenes at the White House, the ranch, or Camp David. 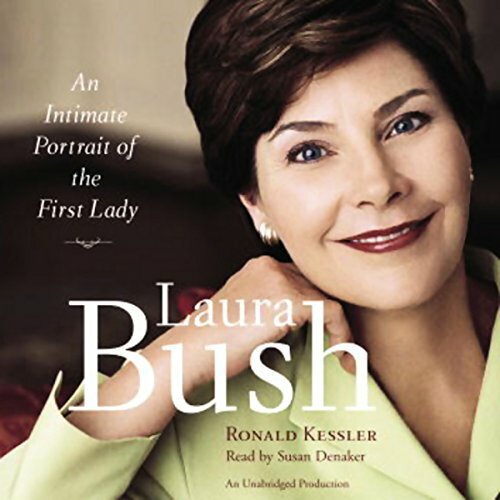 Now, New York Times best-selling author Ronald Kessler draws back that curtain in the first biography of Laura Bush to be written with White House cooperation. Based on interviews with her closest friends and confidantes from childhood to the present, as well as family members and administration heavyweights like Condoleezza Rice and Andrew Card, Kessler paints a portrait of a woman who, even as she ascended to the heights of political fortune and power, never lost touch with the bedrock American values she absorbed in her youth. 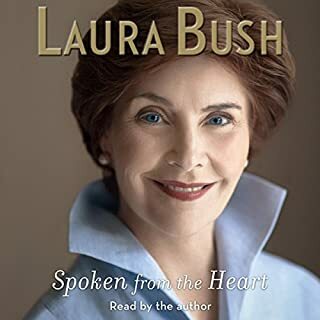 This book is based on interviews with Laura Bush's friends. It reveals friendships that are full of caring, insight, wit, loyalty and sincerity. Laura is an authentic, thoughtful and loving friend as you will learn. She has remained close to her childhood friends throughout her life and no matter what. 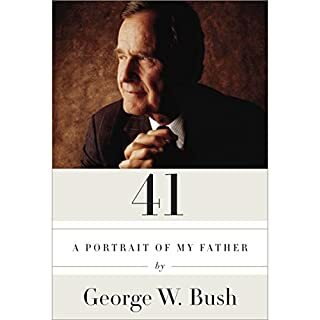 In reading this book, your also learn that Laura Bush, loves to clean. I found that we share a love for Clorox and Windex. As another reviewer wrote, "Now, when something around here needs cleaning, I think of Laura's enthusiasm. I find that it is much easier and more fun to tackle cleaning with enthusiasm than to go through it with a dismal attitude." 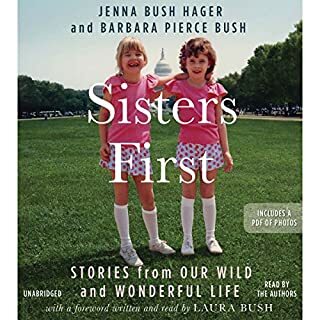 I liked Laura Bush before I read this book, we share several similarities: we are both only children and we both love to read. This book was an insightful read about a "lovely, witty and gracious" First Lady. She truly is a First Class, First Lady. Yes, for my close friends who share a fondness for the former First Lady. She's open, honest and an excellent listen. I've been reading the book but this is much better for me. It could only be better if it were Laura narrating it herself, then we could hear her lovely voice! I don't think this is applicable in an autobiography. What does Susan Denaker bring to the story that you wouldn’t experience if you just read the book? She brings an easy listen, and helps me get through the book quicker than my slow reading. I don't have a good idea on this. This was an interesting book to me. 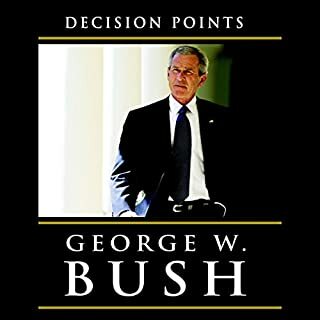 I normally do not read non fiction, but after I saw Mrs. Bush on Oprah, I thought it would be an interesting read...which it was. 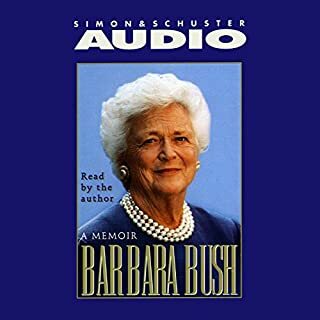 I enjoyed that Mrs. Bush read it and seeing things from her perspective. I think she is a bit all over the place in her book and seems to flip from flashbacks to the present, which is a bit confusing, but over all it was worth the read.